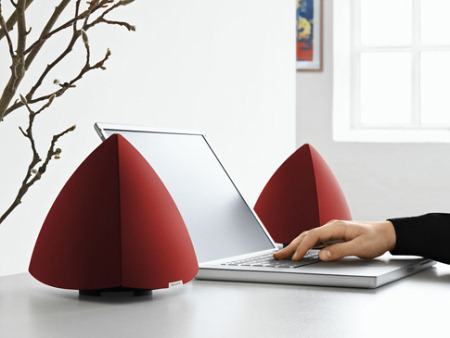 BeoLab 4 PC is a no-fuss version of the popular BeoLab 4, optimised to bring outstanding stereo sound to the desktop. All it takes is a mini-jack cable from your computer, portable music player or any other source with a headphone jack. When you are hooked up, find the nearest power outlet and plug in. The speakers switch on automatically when they sense a signal, and deliver true Bang & Olufsen sound right on your desk or shelf. The fact that they look stunning and come in four colours is really just a bonus.